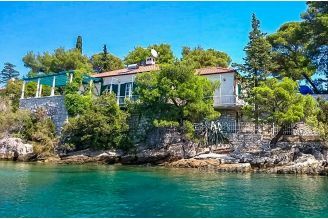 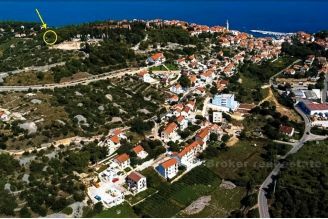 The building plot is located on the western side of the island of Brac in a small picturesque place, 350 meters from the sea. 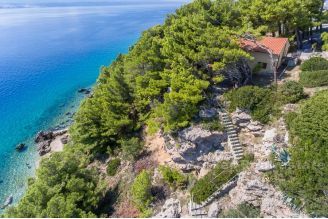 The land is 1300 m2 and has an unobstructed view of the sea. 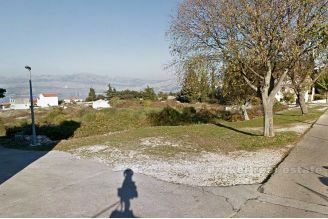 Building permit is obtained, so there is the possibility of building villa on 2 floors, total gross area of 360 m2. 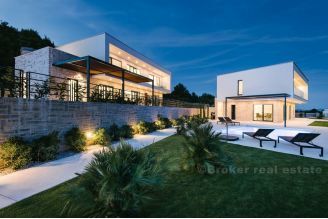 On the ground floor there is a living room, kitchen, dining room, pantry, bathroom, garage. 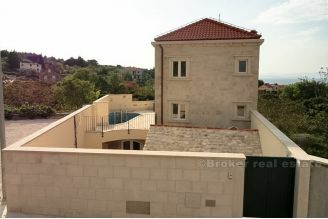 By the project, on the ground floor there is a summer kitchen, a swimming pool, as well as parking.